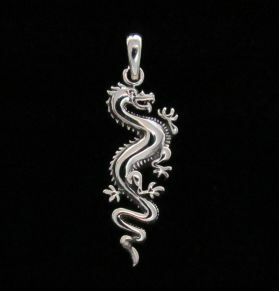 Sterling Silver Dragon Pendant/Wholesale Jewelry by Zeppo Merchandisers, Inc.
Dragons are symbols found throughout most ancient cultures. Eastern Cultures and Western Cultures have opposite meanings for Dragons! 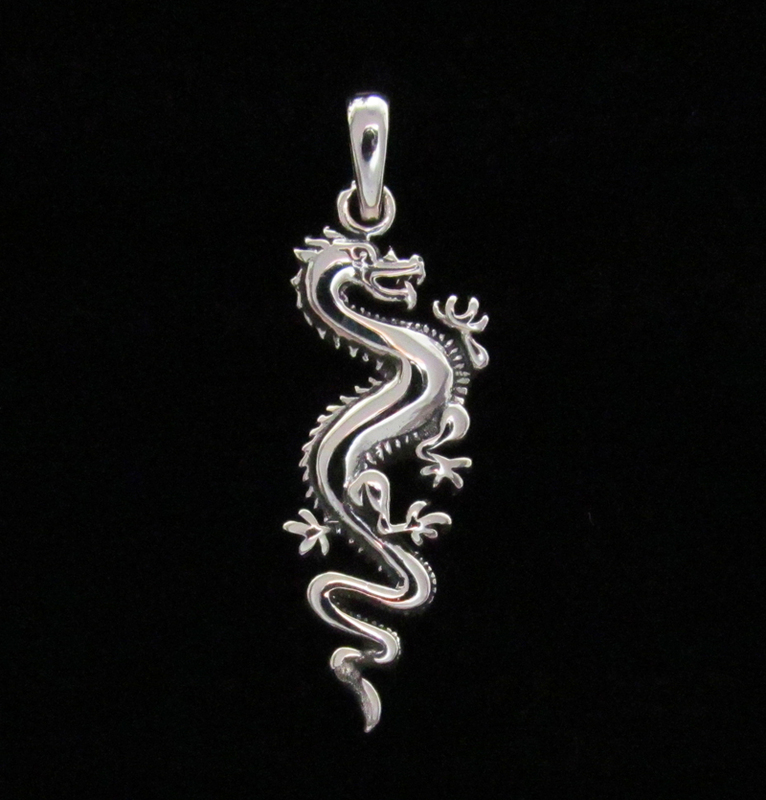 Eastern Cultures viewed dragons as symbols of goodness or life bringers, i.e. rainfall and fertility. Western Cultures view dragons as heinous fire breathing guardian of immorality!